Have you been searching for a recipe involving chicken that is a tantalizing treat to your tastebuds? 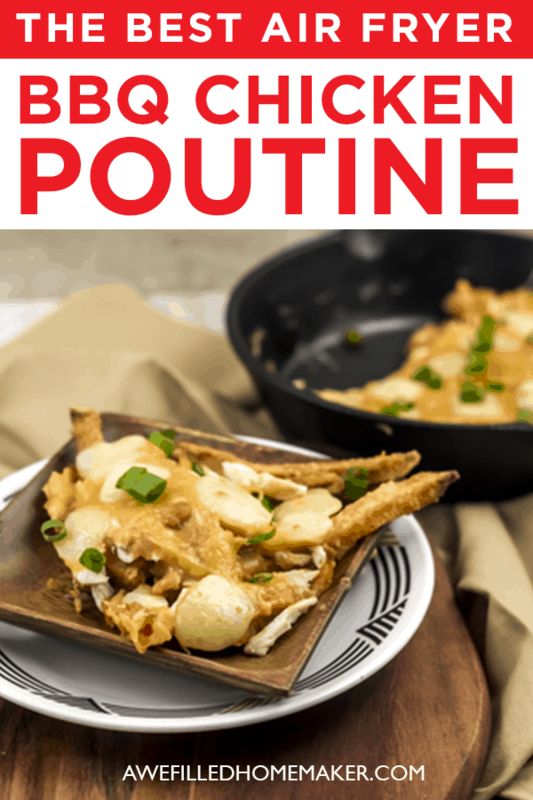 Perhaps the best thing about this Air Fryer Barbecue Chicken Poutine is the fact that it is so packed full of flavor. I love using my Air Fryer. And while it’s no secret that I’m crazy over my many Instant Pots, I can assure you that my Air Fryer ranks right up there with them. While both make delicious meals, they both make ones that taste completely different from one another as well. What I love about my Air Fryer is that it makes food taste “fried” without actually being fried. I’m able to enjoy delicious food without the extra grease and calories. What’s not to love? Why are Air Fryers so popular? Air fryers are popular for a few different reasons, but one of the more popular reasons is that they are so simple and easy to use. Another reason is that they don’t pack on the grease and calories like other kitchen appliances can. Can you imagine having a piece of crispy chicken without having to use any oil? With an Air Fryer, it’s 100% possible! 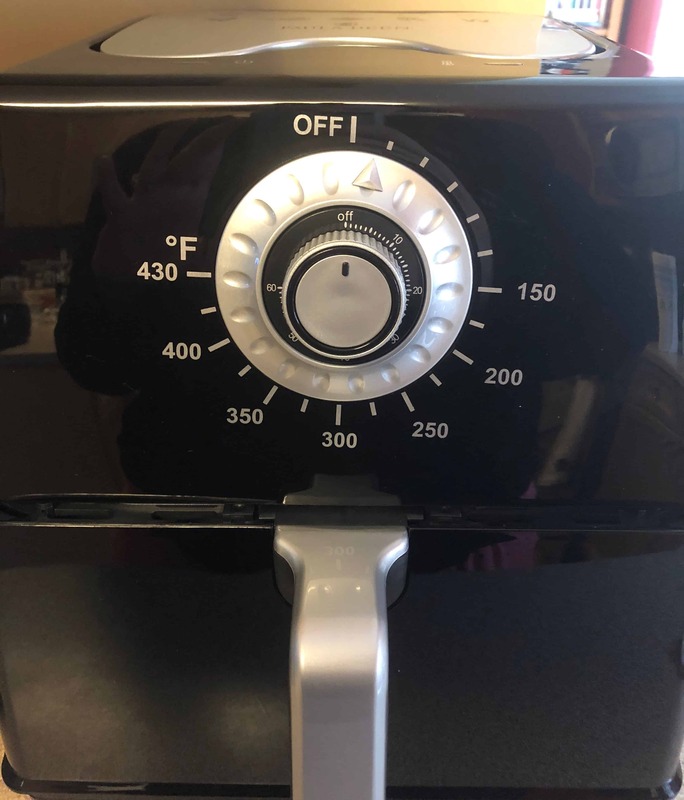 Healthier with the Air Fryer? 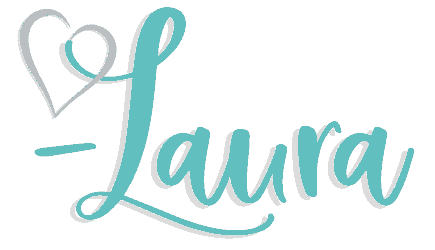 Tell me more…. Do you want this dish to be healthier? What better way to cook it than in an Air Fryer? It takes away most of the fat that comes from frying the ingredient in oil. Since fries are usually not deemed one of the healthier foods on account of its high calorie content (let alone the fact they’re deep-fried in oil), imagine eating a nice portion of fries in a much healthier way. They are not deep-fried which means they have significantly less quantity of oil in them. Less oil content makes the fries a healthier option. Another benefit to using the Air Fryer? Remember me mentioning the soy allergy my youngest son has on other posts? Well, many times when we go out to eat, one reason my son cannot have the fries is the fact they are cooked in soybean oil. With the Air Fryer, we no longer have to worry about soy in fries! Also, one of the benefits of Air Fryer Barbecue Poutine is the fact that it is soy free. We do not want to sacrifice any flavor or favorite recipes because of that, nor do we. Soy is found in almost every product you find on the shelves at your local grocer. Because we have a soy allergy in our home, shopping can be difficult. Unfortunately, people argue whether soy has health benefits. I won’t get into the pros and cons of eating soy because (1) it will turn into a very long post and (2) our family doesn’t eat it these days. However, I can tell you that our bodies DO NOT need soy. In fact, there are many benefits to removing soy from your diet, even if you do not have a diagnosed soy allergy! Why is a soy free meal healthy for you? As it turns out, it is one of the causes of many allergies. However, there are other health risks involved in eating soy. 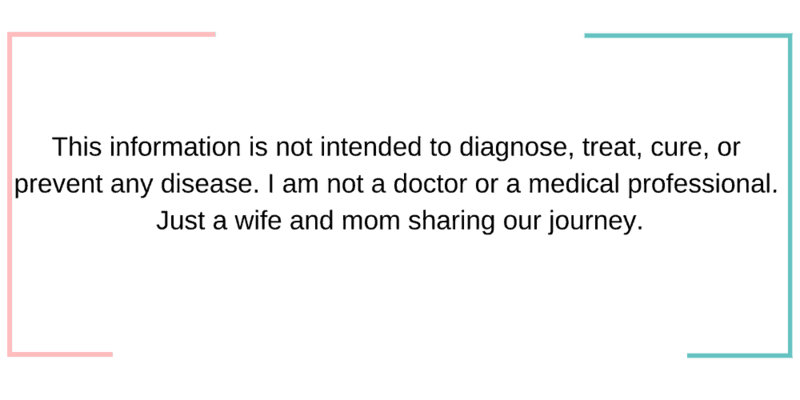 Many companies that include soy in their products add estrogen-like chemicals, which can promote the growth of cancer cells particularly in women. Some researchers suggest that it can even lead to breast cancer! So you can keep yourself away from soy by eating this dish. However, I encourage you to perform your own research and arrive at a conclusion you believe is best for your family. Poutine is a dish of Canadian origin. It comes with one of the most beloved ingredients: cheese! Imagine the combination of french fries and cheese. 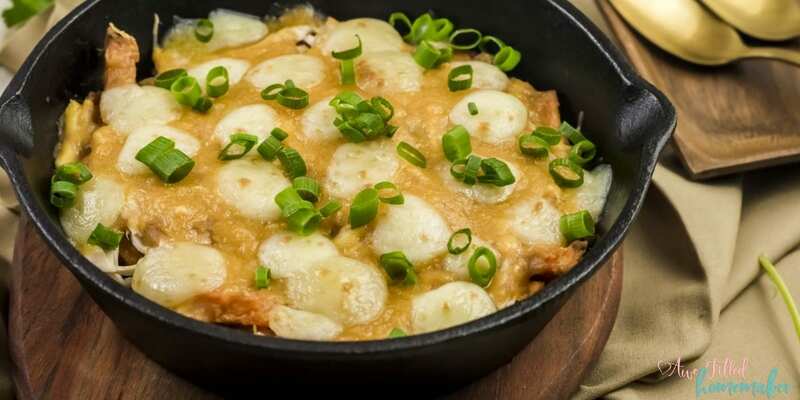 Its crispness is engulfed in soft delicacy of cheese that makes the entire prospect of eating this delicious dish very enticing. The crispness of the air fried chicken is seriously amazing. In comparison, think about the feeling and energy, excitement if you will, being similar to when we quickly go through crispy chicken buckets. 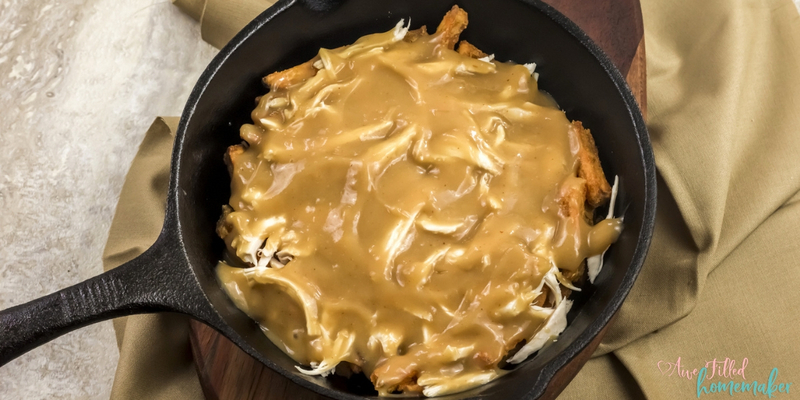 To top it off, it is encapsulated in BBQ gravy that adds even more sophistication to this chicken poutine. 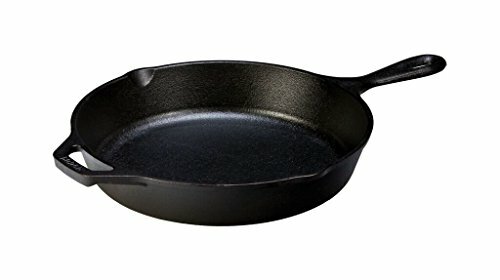 Now you may be asking, why the cast iron skillet? You said air fryer. 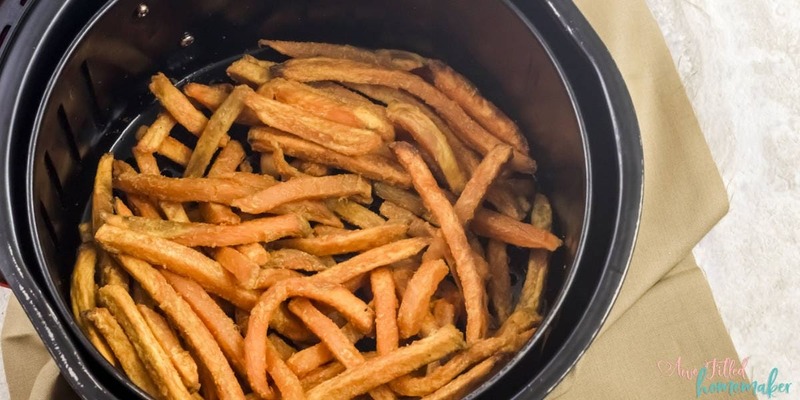 Yes, we use the air fryer to give the sweet potato fries their delicious flavor and the cast iron skillet to finish off the rest! The best of both worlds! 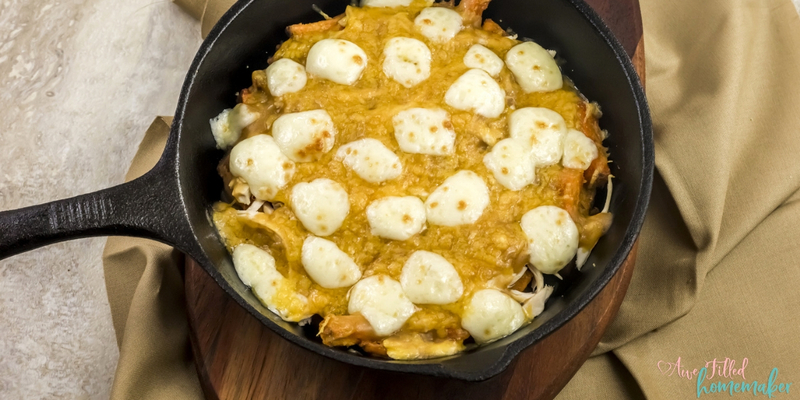 Can you use frozen chicken breasts for this BBQ Chicken Poutine recipe? Absolutely. However, for this recipe, I like to keep it quick and simple so I opt for an already cooked chicken instead. If you do decide to cook your own chicken from raw, make certain that you follow cooking directions and that it’s cooked thoroughly before serving. 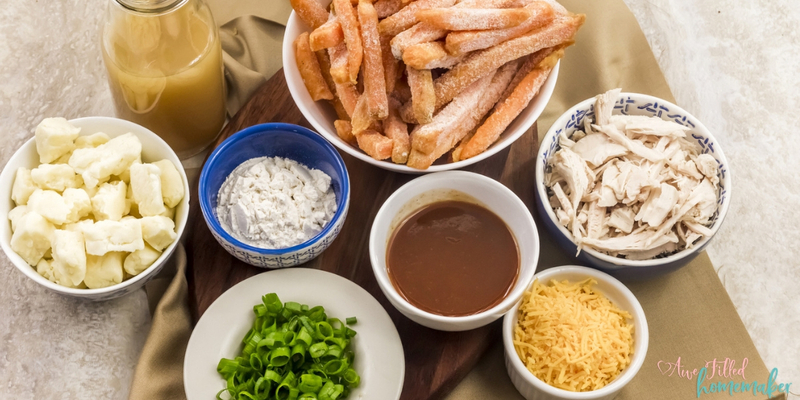 What can you use in place of frozen Sweet Potato Fries? If you aren’t a fan of sweet potatoes, you can switch out for regular fries instead. The sweet potatoes do give a nice flavor so keep that in mind as you may need to season your other choice to make up for the difference. Why the sweet potato fries inside this poutine dish? This is a question that might come to mind when having a Barbecue Chicken Poutine for lunch. 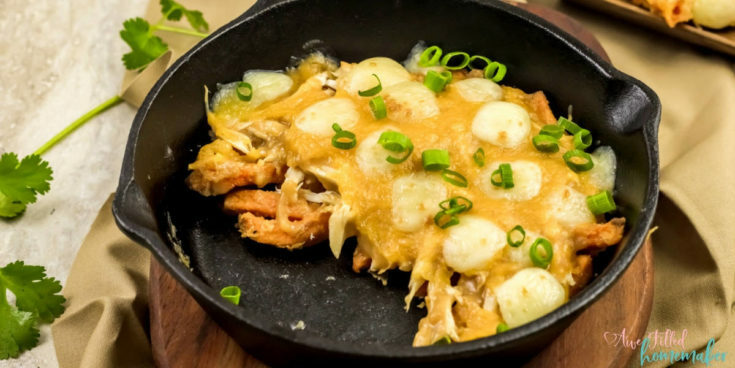 In most instances, fries and chicken don’t usually mix into a single dish. Sure, you have fries on the side, but combined? 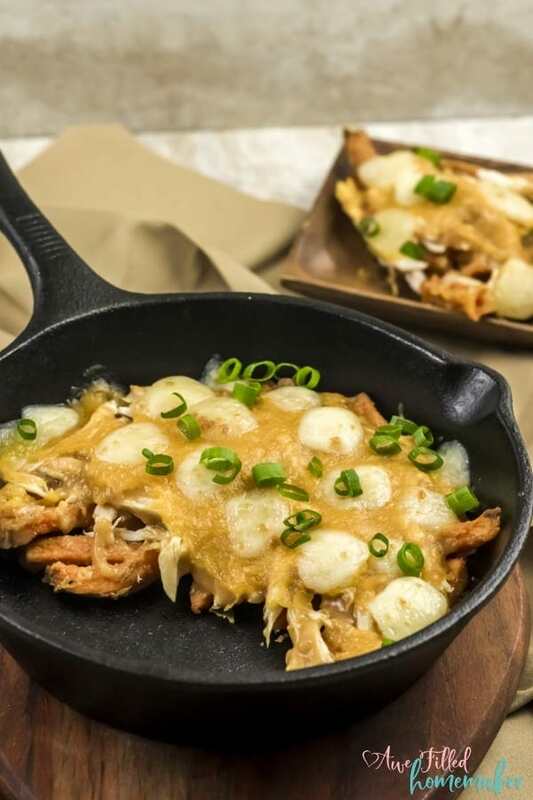 Combining these two vastly different foods this Barbecue Chicken Poutine dish adds delicious culture and style to this Air Fryer recipe. When the awesomeness of this dish meets our taste buds, both fries and chicken, the taste is both sweet and salty at the same time! 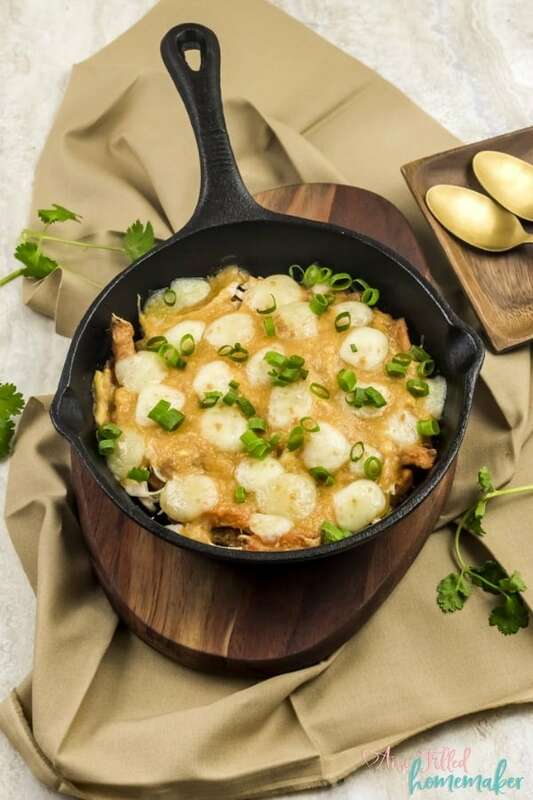 That is the alluring desire – to have a healthy, soy free lunch that really kicks the buds when we gradually engulf this delicious barbecue chicken poutine. Can you make this dish spicy? There’s always room for spice. Always. All you need to do to take it up a notch is to add in some fresh jalapeno or some cayenne pepper to your liking. My advice? Do this on your own plate separate so that you can make it as hot as you want. That way everyone else can still enjoy theirs mild while yours can be scorching! This is one of those meals that is a true family treat. This is a staple at our dinner table and I never hear a single complaint, even from my pickiest eater. Plus, using the Air Fryer is my saving grace. I tend to not have a ton of time each and every day to make elaborate meals, but when I use my Air Fryer, it tastes like it took me hours! 1 (20 oz.) 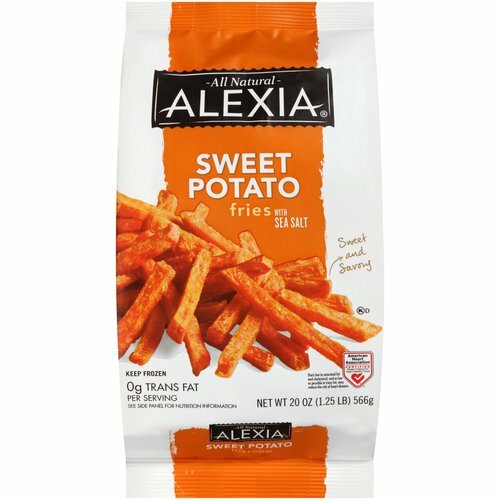 bag of frozen Sweet Potato Fries. This is tricky with a soy allergy so make sure to get a brand that does not have soy. We have found Alexia all natural to be AMAZING! 1 cup of shredded Rotisserie Chicken. 1 cup of Cheese Curds. Make sure you use a soy free version if avoiding soy. ½ cup of BBQ Sauce. I make my own to ensure it is soy free. I do this in my instant pot BUT if you buy BBQ sauce, this is my favorite brand to purchase. 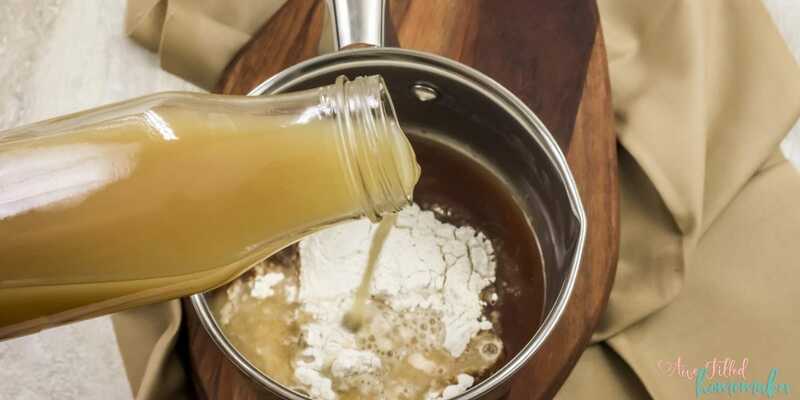 ½ cup of Chicken Broth. Again you can make broth in you instant pot OR if you buy, we make sure it is soy free & also low sodium. 2 tablespoons of All Purpose Flour. We use King Arthur. 1) Spread the sweet potato fries evenly across the base of the air fryer. 2) Air fry at 380 for 25 minutes or until the fries are hot and crispy. 3) While the fries are air frying, prepare the BBQ Gravy. 4) In a medium saucepan, add the BBQ sauce, flour and the broth. Whisk it well. 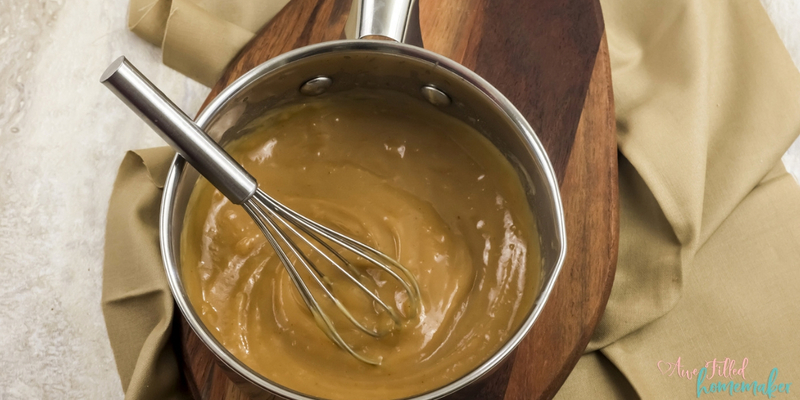 5) Heat over medium-low heat, whisking constantly for 3 to 4 minutes or until it thickens. Keep aside. 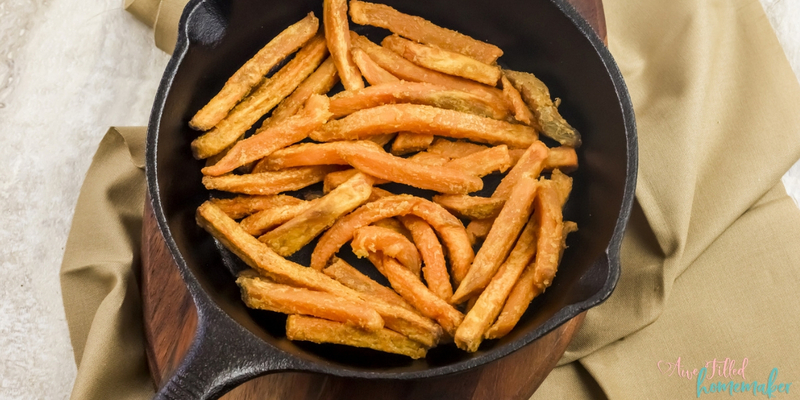 6) When the fries are done, place them in a cast iron pan or baking sheet covered in parchment paper. 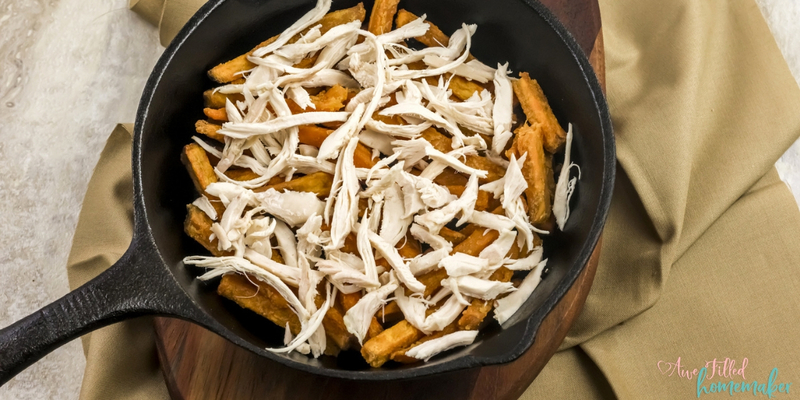 7) Add the shredded chicken on top of the fries. 8) Slather the warm BBQ gravy all over the fries and the chicken. 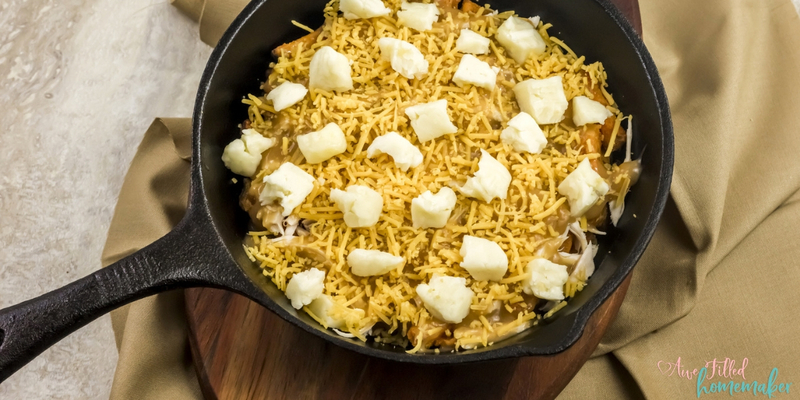 9) Top the gravy with the cheese curds and shredded cheddar cheese. 10) Place the cast iron pan (or baking sheet) in the oven on BROIL. 11) Broil for 2 minutes until the cheese is all melted and gooey. Keep a constant eye so that the cheese does not burn. 12) Garnish with the chopped green onions and serve immediately. There you have it, another delicious soy free recipe that is full of flavor! I love how easy this dish can be with my Air Fryer. So maybe my son can’t run right up to a food truck as much anymore, but we can bring this beloved food truck dish right to our house for him. From our house to yours, I hope you enjoy! One other great aspect of this homemade Air Fryer recipe is that it’s so good any time of the year. We make this during the winter months for a hearty meal, but we’ve also made it during every other season because it’s just that good! 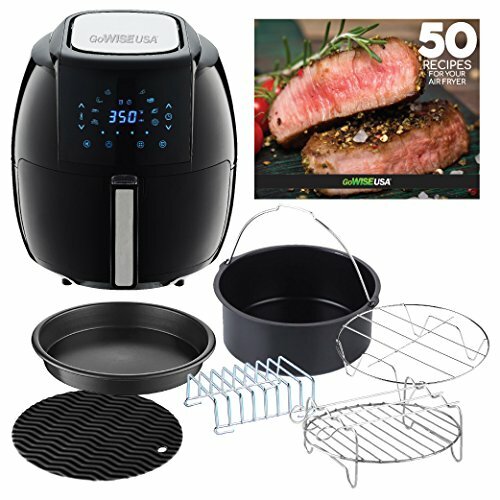 As long as you’ve got an appetite and your Air Fryer, you can be certain it’s going to hit all your taste buds in a positive way with every single bite! 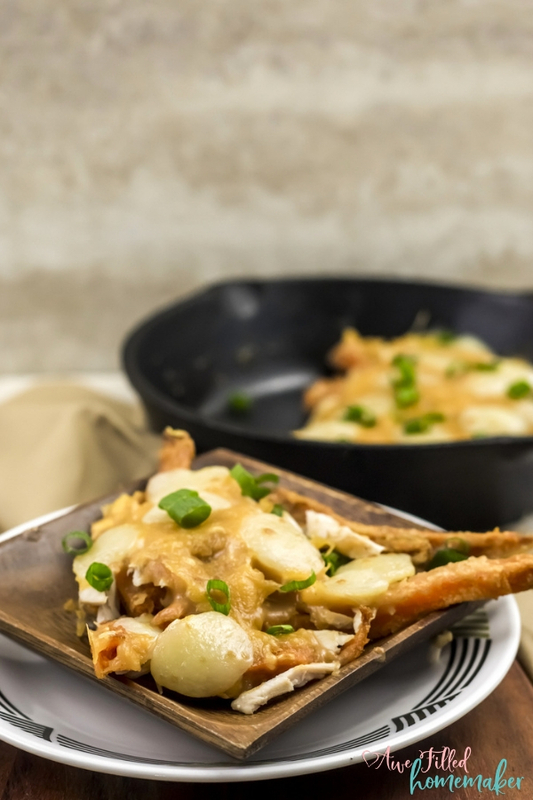 Give your Air Fryer a fun new recipe and use it tonight to make this delicious BBQ Chicken Poutine. Spread the sweet potato fries evenly across the base of the air fryer. Air fry at 380 for 25 minutes are until the fries are hot and crispy. While the fries are air frying, prepare the BBQ Gravy. In a medium saucepan, add the BBQ sauce, flour and the broth. Whisk it well. Heat is over medium-low heat, whisking constantly for 3 to 4 minutes, till it thickens. Keep aside. 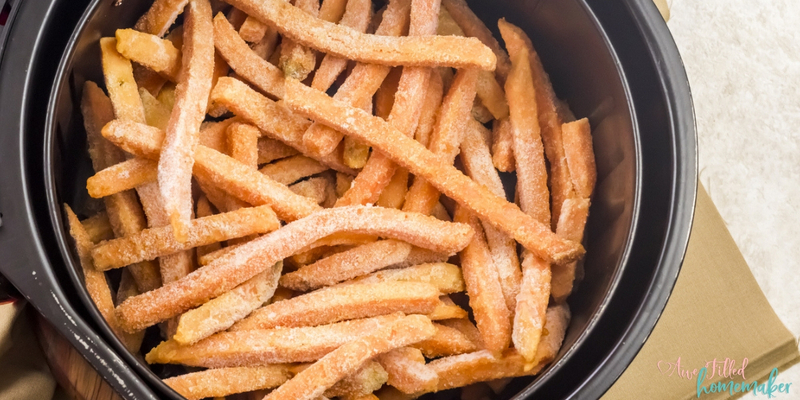 When the fries are done, place them to a cast iron pan, or baking sheet covered in parchment paper. Add the shredded chicken on top of the fries. Slather the warm BBQ gravy all over the fries and the chicken. Top the gravy with the cheese curds and shredded cheddar cheese. Place the cast iron pan (or baking sheet) in the oven on BROIL. Broil for 2 minutes till the cheese is all meted and gooey. Keep a constant eye so that the cheese does not burn. Garnish with the chopped green onions and serve immediately.